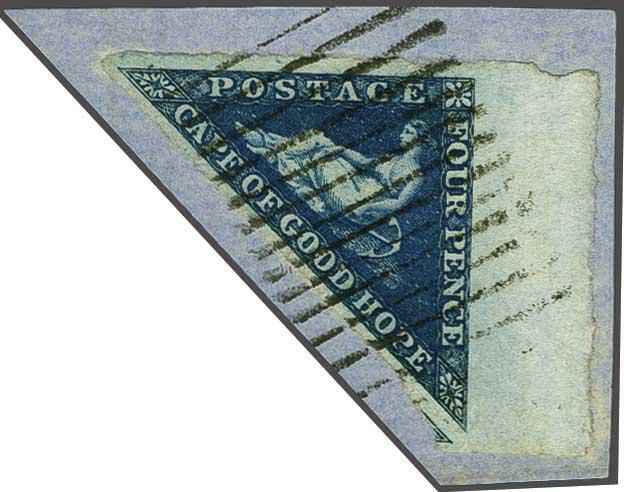 1855/63: 4 d. deep blue on white paper, a fine used example with large margins all round and sheet marginal at right, used on small piece and tied by scarce horizontal bars obliterator of Grahamstown in black. Lifted for checking and hinged back to piece. 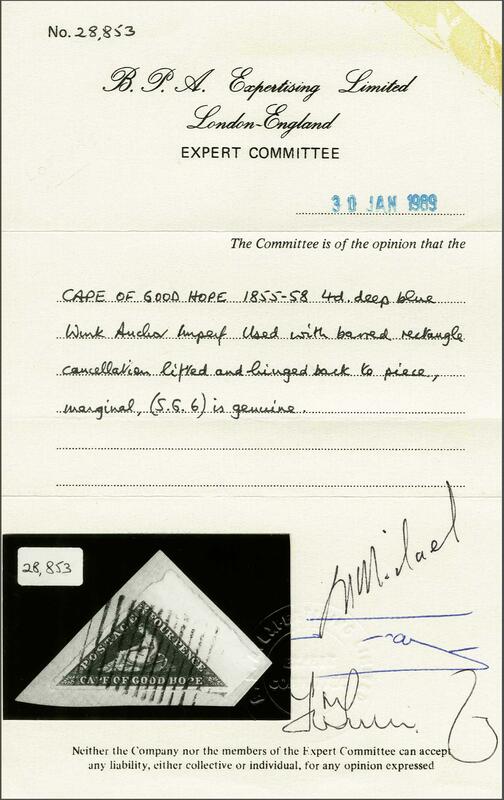 A delightful stamp. Cert. BPA (1989) Gi = £ 95+.